Today I want to write about an amazing marsupial called Lumholtz’s tree kangaroo. They are the smallest species of tree kangaroo, with a body that grows up to 65 cm long and a tail that is even longer. They live in small groups of 3-5, with one male and a few females. Males defend their territory aggressively against other males. They are named after the Norwegian explorer Carl Lumholtz who discovered them in 1883. They mainly eat leaves, but also eat fruit. 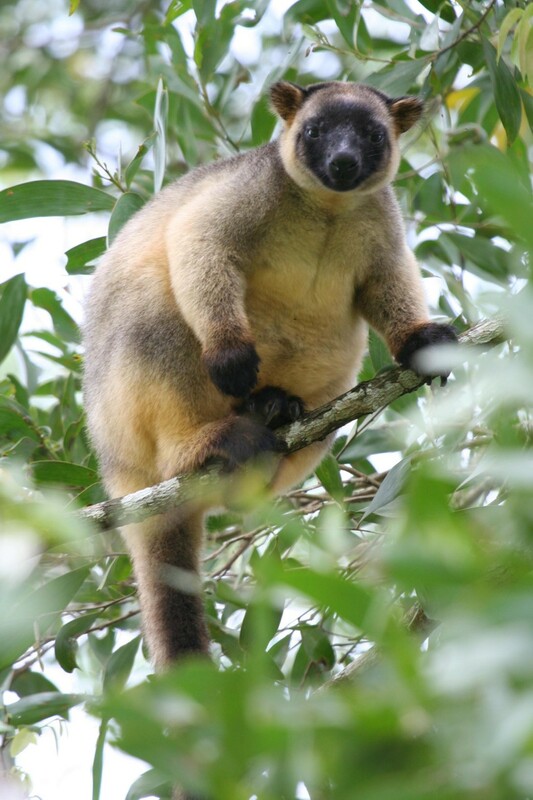 Lumholtz’s tree kangaroo is found in the forests of north Queensland and New Guinea. Their numbers are dropping due to habitat loss, attacks by dogs and road collisions. Are there any other interesting facts that you would like to share about Lumholtz’s tree kangaroos?